Mummadi Krishnaraja Wodeyar became a prince at an early age. After discussing with the British Resident, A. H. Cole, the reins of the state were transferred from Dewan Purnaiah to the king. But the king lost the services of his grandmother, who died in 1810, and also of Purnaiah, who died in 1812. 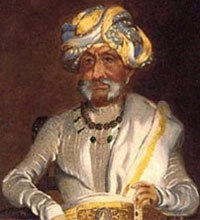 Mummadi Krishnaraja Wodeyar was responsible for the cultural growth of the Mysore state. He was himself a writer, having written Kannada books like Sritattvanidhi and Sougandhikaparinaya. He also has a number of writers in his court who together contributed to the development of modern Kannada prose; which had a style different from the Champu style of prose which was followed till then. Other important writings that emerged during his rule include Mudramanjusha by Kempu Narayana, Kalavati Parinaya by Yadava and Vachana Kadamabari. The king was well versed in many languages and could play the musical instrument, veena. He was an expert player of board games and is credited to have revived the Ganjifa game. He was also a collector and an inventor of board games. In 1861 Mummadi Krishnaraja Wodeyar founded Sarada Vilas Anglo-Sanskrit School in Mysore. This school was later renamed to Sarada Vilas College and offers Bachelors degree in Science.